The only thing in that folder is the AirDroid app and an uninstall file; no logs/exceptions or folder. I tried using the uninstall appllcation and reinstalling AirDroid. No help. Just for curiosity sake, are the people having problems connecting from a corporate network connection (ie from work)? Or from behind a firewall (software or hardware)? and for the tech-savvy out there, does the problem resolve itself if you turn off the firewall and put your PC into the DMZ? If the DMZ fixes the issue, then airdroid may need to attempt to do uPNP on the router or provide a list of ports to forward. At my work, connecting from the windows application on a windows 7 x64 machine (as admin and non-admin) brings up "Failed to connect to the server" when I try to log in. The web interface (web.airdroid.com) works fine though. I will test some of my theories on Saturday/Sunday as I have no internet at home until then. No. This is my home network, home computer, and personal Androids ( S5 and Tab S). 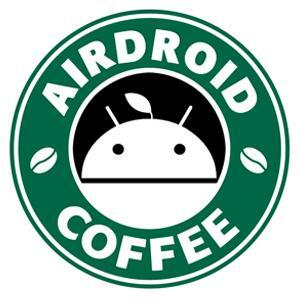 I last used the Airdroid app a couple of weeks ago, and it worked fine. I went to use it yesterday, and had the problem. Nothing on my network has changed. I've tried turning off my firewall, reinstalling the app, and nothing works. I actually was having the exact same issue. I believe in my case though it was my corporate firewall blocking me. I uninstalled the app as I was fairly confident that it was a firewall related issue and I cannot resolve that. Will test it out again on my home computer once I get internet (saturday). In the logs folder, the only file that exists is a dll and when I go to attach it, I am told "the extension dll is not allowed". Thanks for the info. Email has been sent. Having the same problem. Pls check the log attached (zip). Thanks. I also got the error message 'Unable to connect to the server'. No error code was stated. I can access the Airdroid web site fine. Screen capture and Log file included as requested. Update - emailed the support address and got a test version of 3.1.3 and that seems to have fixed my connection issue. Next goal - how can I use my parital root (adb has root but apps do not) so that the screen sharing works. things I tried - placing the su app from a different ROM into mine, setting appropriate permissions on it, starting the su daemon and airdroid is unhappy (crashes on start). Will be trying that out more tonight and pulling a logcat to see what I can see... hopefully I can figure that one out so I can have screen cloning without needing to root my device.